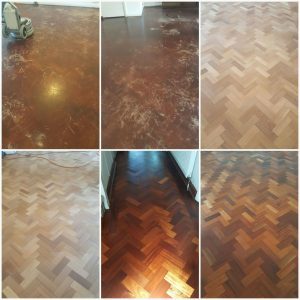 This floor was one of the best floors we have done! The customer had no idea what it was, And to be fair we wasnt too sure because it was caked with some king of brush on lacquer! Anyway the end result speaks for itself!..